Hearing and Speech Therapy - the subject of medicine that deals with the diagnosis and treatment of any hearing and speech impaired. In conducting these tests offer the patient (according to his age and state of health) to perform various tasks in the field of speech and language skills: writing, semantics, phonology and so on. This type of inspection is carried out by means of video - or record voice patient. 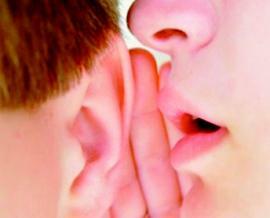 information (the ability to distinguish sounds, memory, sound attention) in children and adults. swallowing disorders, speech and pronunciation in patients with split palate (cleft palate). Pharmacological - depends on the cause of the defeat of the hearing aid, from the age of the patient, the environment in which he lives and works. The method of treatment will depend on the causes of the existing violations. Thus, the delay of speech development will require the work of child psychologist. Defects in the structure of the vocal apparatus - surgery. Often, to correct deficiencies in the speech, it is enough sessions with a speech therapist. If the features of speech disorders is associated with neurology, the patient should be undergo treatment. Each individual case of violation of speech requires a detailed study by the doctor. Only after a thorough medical examination will be assigned to the correct treatment. It is not necessary to delay treatment to the doctor, because the difficulty in communication can lead to stress and put a mark on the entire life. 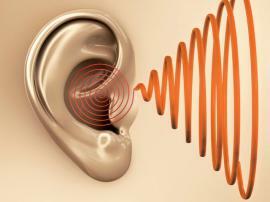 What Do Tinnitus Sufferers Have in Common?